Need a tow? Help is on the way! Whether you’ve been in an accident, your car won’t start or you’re stuck on the highway, don’t panic! Our full service towing team at H&H mobil will ensure that you and your vehicle are picked up in a safe and timely manner. We understand how stressful it can be to need a tow, and are here to help. Request towing services and get help as soon as possible from the H&H Mobil team. If your car wouldn’t start and needed a tow, or was towed from the scene of an accident, we’ll take it back to our auto shop to be professionally evaluated and serviced. We’ll keep in touch once the damage has been assessed with service recommendations to get you back on the road. Our trucks tow for many local police departments. 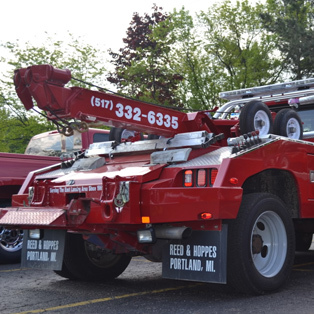 If your vehicle was towed in the East Lansing, Michigan State, Meridian Township, Haslett or surrounding areas please contact us with any questions or concerns regarding your tow or impound. No one likes to be towed so we understand your frustrations. We do our best to make this process as positive as possible. 24 hour professionally trained and experienced towing staff!